The much-awaited Monster Hunter: World crossover event has now gone live, giving players a chance to slay a powerful foe as The Witcher‘s Geralt of Rivia. 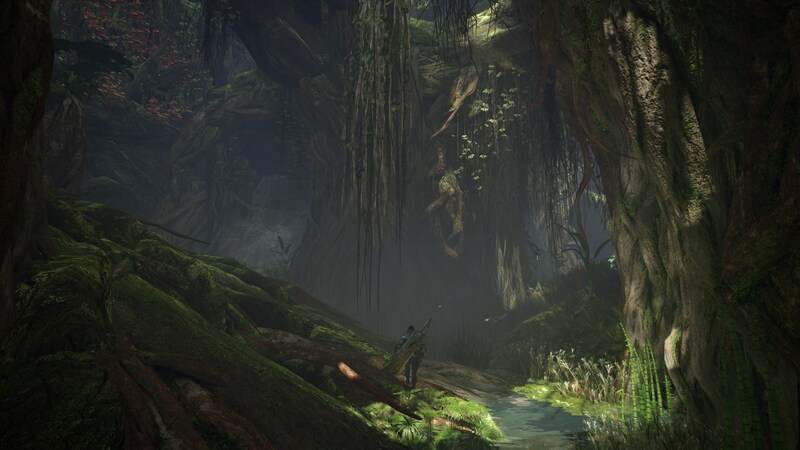 Players who have reached a minimum of Hunter Rank 16 will be able to accept the contract Trouble in Ancient Forest – a new, original quest line. The mission requires Geralt to track and take down a mysterious, powerful foe called Leshen. Players will be able to use Geralt’s weapons and abilities including his silver sword and combat magic. Those who complete the quest will be rewarded with Witcher-themed items including resources to craft Geralt’s armor and weapon set, and a skin and weapon for Palico alongside new gestures, titles, pose, and guild card background. Geralt will be voiced once again by Doug Cockle. Players will be able to talk to other characters, and their dialogue choices will determine how the story unfolds. On February 15, 2019, players at Hunter Rank 50 and above will be able to partake in an additional Witcher-themed event. The “extremely challenging” multiplayer contract, Woodland Spirit, will pit them against a much powerful and deadlier Leshen. This contract will be time-limited, and will expire on March 1st. Those who complete Woodland Spirit will be rewarded with resources to craft Ciri’s armor and weapon set. The Monster Hunter: World x The Witcher 3: Wild Hunt crossover event is already live on the PlayStation 4 and Xbox One (update required). The content will release on PC at a later date. For more on Monster Hunter: World, check out our recent coverage.